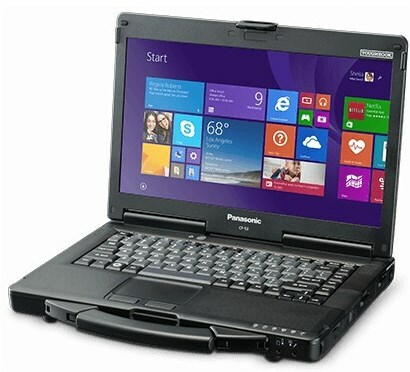 Panasonic has been manufacturing the Toughbook 53 for quite some time offering a 14" Widescreen HD LED display semi-rugged laptop with reliability, value and performance. The 53 with its unique carry handle make this laptop computer a great desktop replacement. The CF-53 is also highly customizable, with optional configurations such as daylight viewable touchscreens, 4G LTE, backlit keyboards, webcam, SSD and of course a true serial port.